Some parts of the country are experiencing very cold temperatures right now. Cold weather can bring a lot of benefits. We have great celebrations in the winter. And there are some exciting outdoor recreation activities available. However, cold weather can also be dangerous for certain members of the population. Here's what new research tells us about when to stay indoors and who is at the greatest risk of more than just getting chilly when the temperature drops. Researchers in Quebec recognized that big shifts in temperature, including heat waves and cold spells, can affect your health. However, this isn't something doctors (or their patients) typically take into consideration. 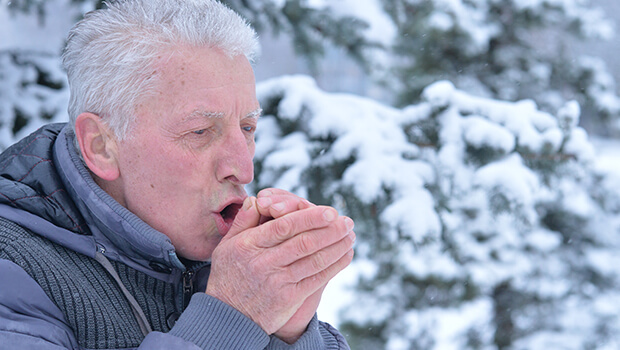 Since Quebec can get pretty cold pretty fast, the researchers wanted to determine how these rapid temperature and air pressure drops affect elderly patients, particularly those with heart disease. The researchers were able to gather data on 112,793 people 65 and older who received a heart failure diagnosis in Quebec between the years 2001 and 2011. On average, the patients had been followed for 635 days, giving the researchers the opportunity to gather information about mean temperature, relative humidity, atmospheric pressure, and air pollution levels and the time of the diagnosis and at the time of any subsequent heart-related issues. Sure enough, people were more likely to be hospitalized in the winter than in the summer. In fact, for every 1°C drop in mean temperature per week, the risk of heart-failure-related hospitalization or death went up 0.7%. This risk also went up by 4.5% for every 1 kPa increase in air pressure. This may not sound like much at first, but keep in mind that temperature often drops by much more than 1 degree per week. So a 10-degree drop translates to a 7% increase in risk - not tremendously large, but still significant given that we have no control over the weather. And larger drops bring still higher risks. The researchers concluded that cold and foggy days or days with low cloud cover were the most dangerous for people with heart conditions. They encourage elderly people who are worried about their hearts to minimize exposure to these conditions when possible. If you're over the age of 65 and have been diagnosed with heart failure or just want to ensure your heart stays healthy through the winter, you have a couple of options. One is to retire to Florida or a tropical island. The other is to take steps to ensure you have a healthy heart and good circulation. I've written plenty before about how to protect your heart through proper nutrition and the right supplements, so you can check the archives if you want more information. Earlier this week, I recommended CircO2 to help lower blood pressure. But this supplement does much more for your heart. It helps your body produce nitric oxide to boost your circulation and your energy levels. This helps keep your heart healthy. 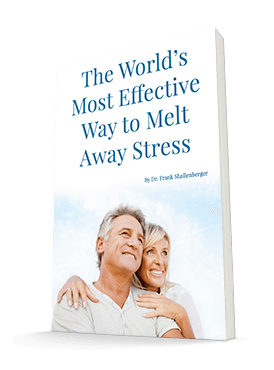 Now I wouldn't necessarily use that extra energy to go ice skating on a frigid day, but I do think it will help give you peace of mind that you're helping to protect your heart when the weather gets chilly.